Funny how you look at photos differently after your step away from them for a few weeks. I happen to take this photo and did not think much of it the first time around. 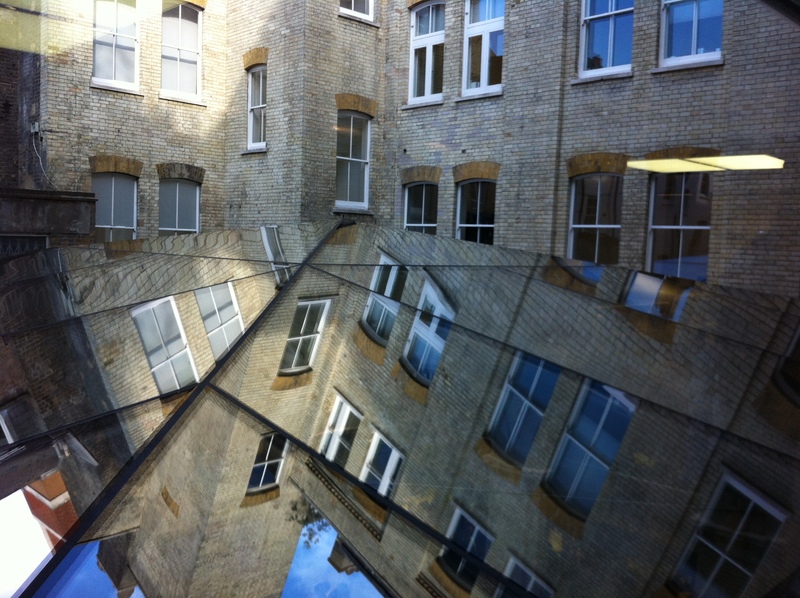 Normally a photo of a plain brick courtyard is not very exciting, but somehow the reflection off the skylight made for an MC Esher look and feel. Not sure if the designers of the building it was taken intended it to be this way or not. Any guesses as to where it was taken?